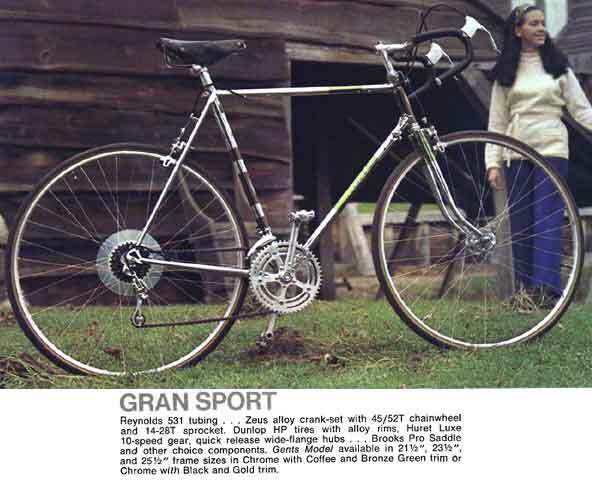 When I was in high school (class of '62, Marblehead High School) this is the bike I dreamed of, a notch above my Elswick Tour Anglais. 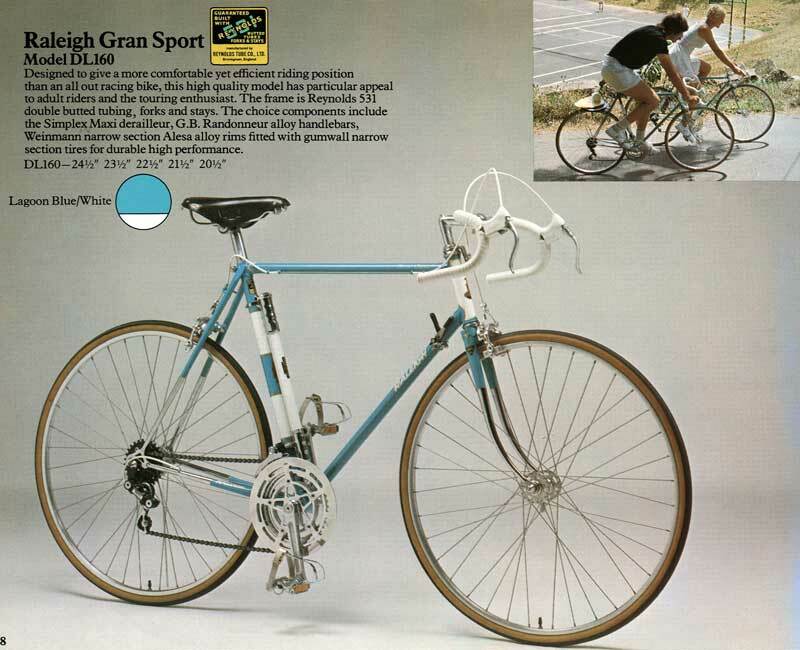 It was the first bike I ever saw with Campagnolo derailers, also the first with presta valves and the state-of-the-art Dunlop Special Lightweight rims/HPRR tyres. Even though it wasn't made of name brand tubing, it was a very fine machine in its day. The model shown below was listed in the 1970 catalogue, but probably was never actually produced.